Performance with Boston Camerata at Union College. 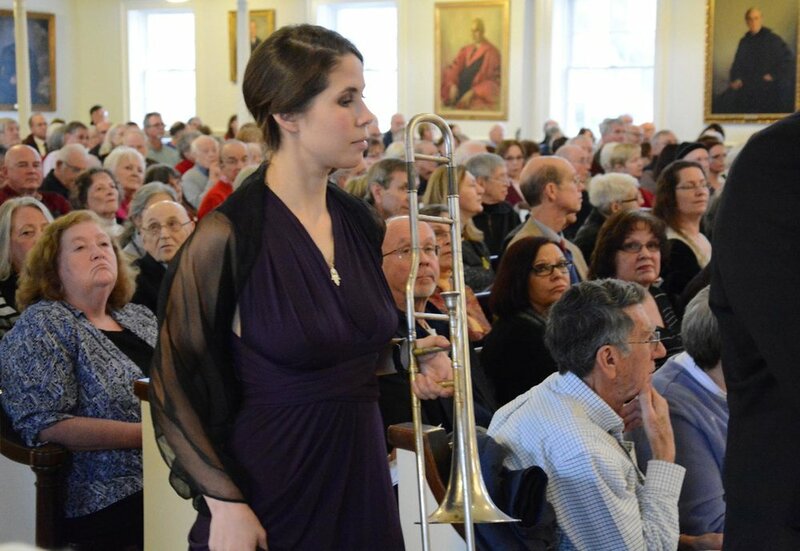 A full consort of sackbuts in Natick, MA. 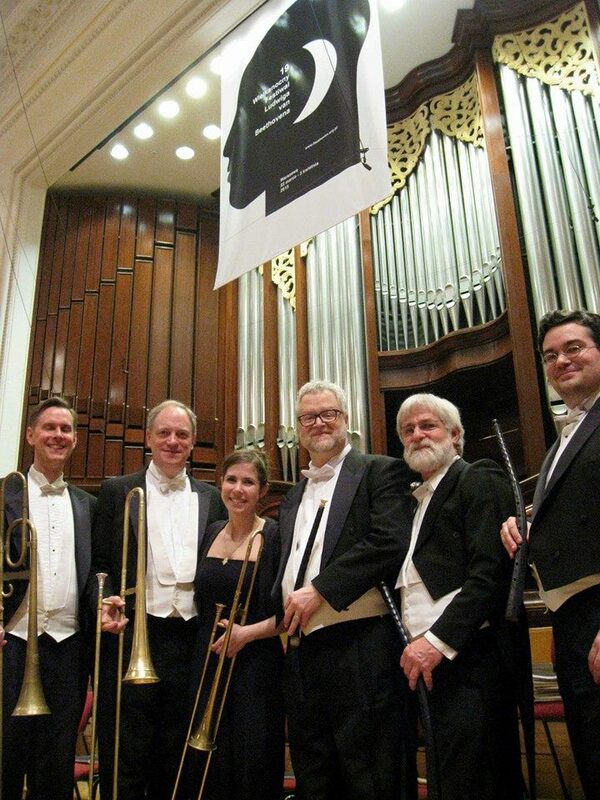 Boston Baroque performs Beethoven's 9th. 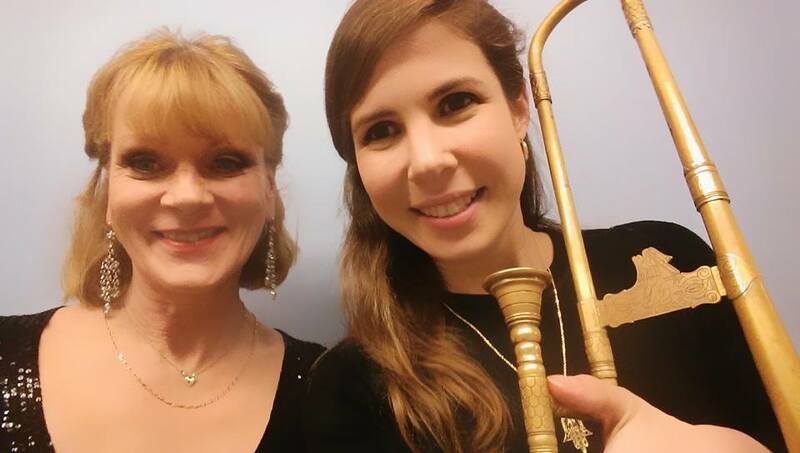 Christmas shows with the Boston Camerata. 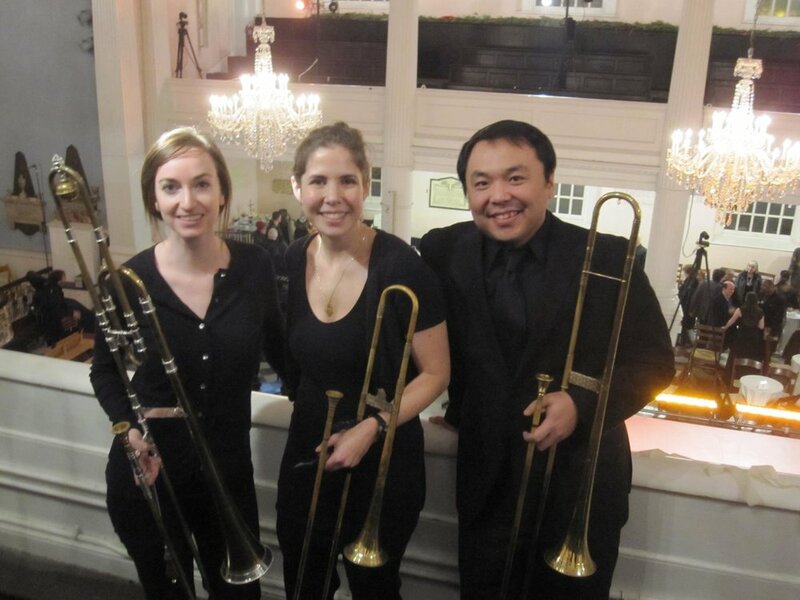 The Trinity Baroque trombone section for Handel's "Saul," New York City. The Merchant of Venice - Strathmore Hall. With Samantha Bond, Derek Jacobi, and Piffaro: The Renaissance Band. 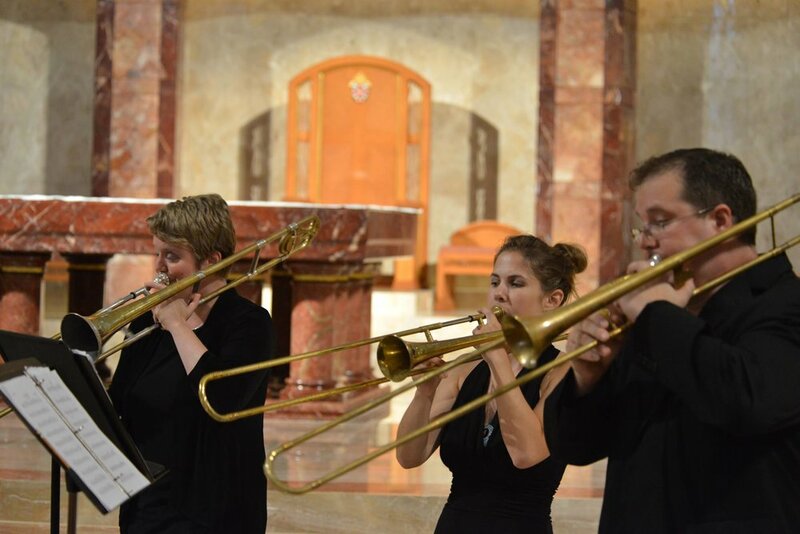 Cornetts and sackbut in Minneapolis for a performance of Monteverdi's Vespers. 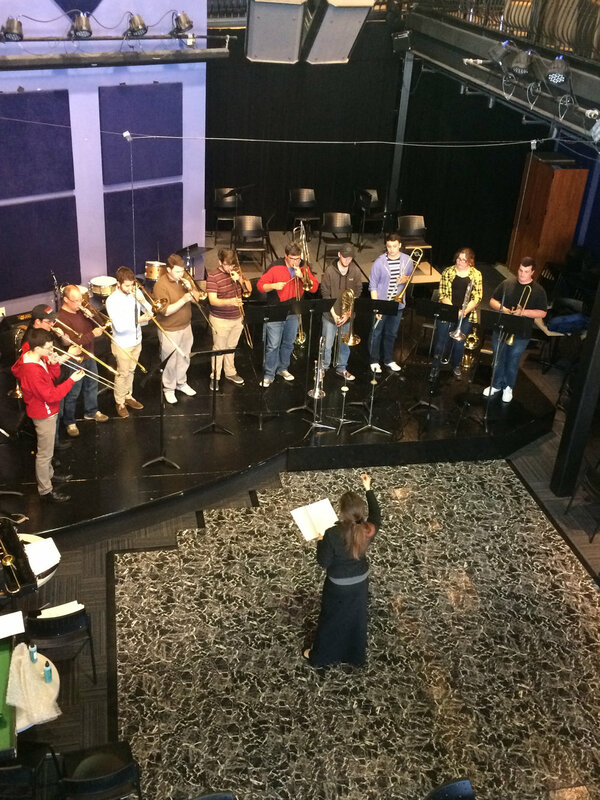 Performance with students from the Indiana University historical trombone studio. 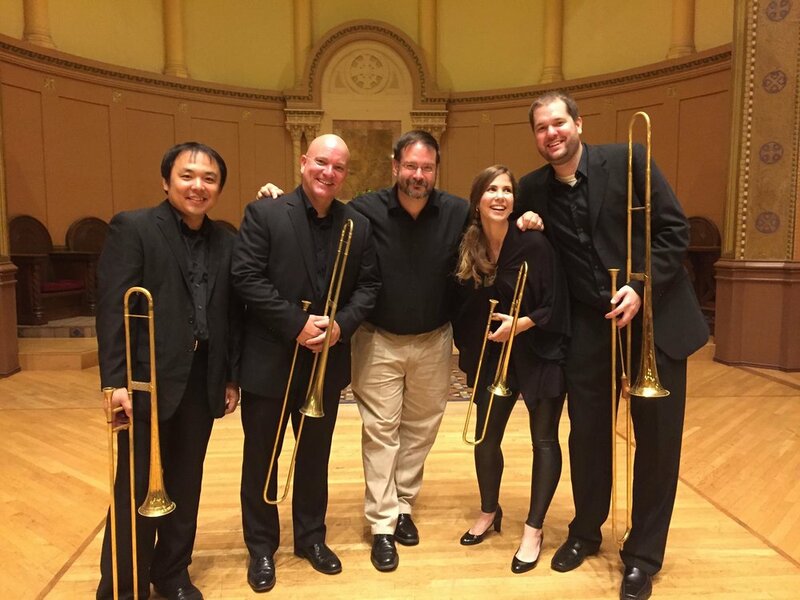 The Boston Early Music Festival brass section for "Orfeo." 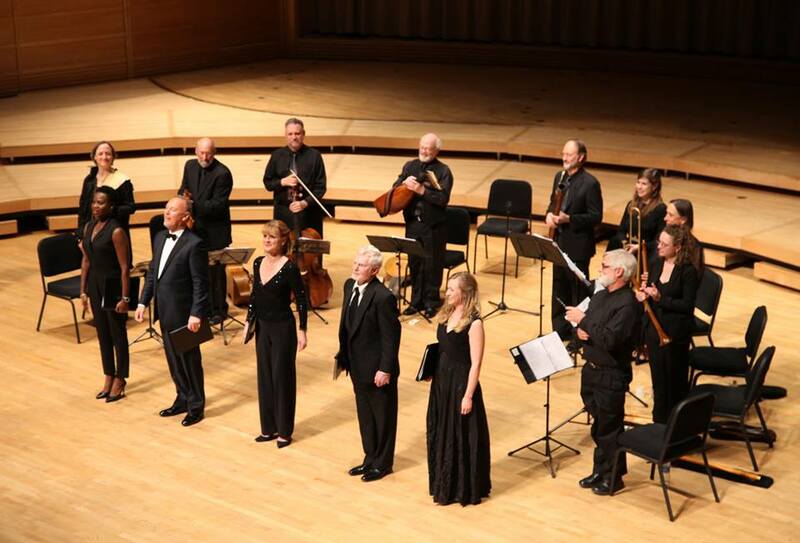 Recital: Colla Parte performs German Baroque music. With professor Greg Ingles. Late night post-concert "Star Wars: The Force Awakens" trip with Apollo's Fire friends.